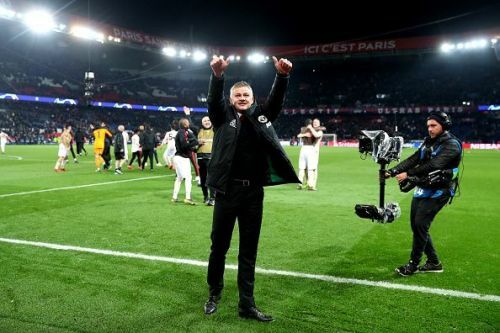 Manchester United completed one of the greatest comebacks in Champions League history as they overturned a 2-0 first leg deficit to triumph 3-1 away at the Parc des Princes last night. The Red Devils have seen a massive upturn in fortunes since the appointment of Ole Gunner Solskjaer, but not many gave them much of a chance heading into the fixture against Paris Saint-Germain, owing to their lengthy injury list and suspensions which ensured the English giants went to France with a depleted squad. However, in remarkable scenes, Marcus Rashford held his nerves to convert an injury-time VAR awarded penalty to send United to the quarter-finals of the Champions League for the first time since 2014. On the other hand, PSG were knocked out of the Round of 16 of the competition for the third straight season. In this piece, we shall be taking a look at four factors which made the 'remontada' possible. It seems like distant times right now, but barely three months ago, Manchester United were in real danger of seeing their season descend into chaos as under Mourinho, the club dipped to all-time lows, with off-field clashes with players and negativity the order of the day at Old Trafford. The 3-1 loss to Liverpool last December proved to be the breaking point and Mourinho was relieved of his duties, with the club 12 points off a top 4 spot and multiple players suffering an alarming drop in form. However, since the appointment of Solksjaer, the tides have turned at Old Trafford as United have become one of the form teams in Europe and have battled their way back into contention for a top 4 finish. Players have rediscovered their form under the Norwegian, which has invariably installed a new sense of belief into the fans and players alike. 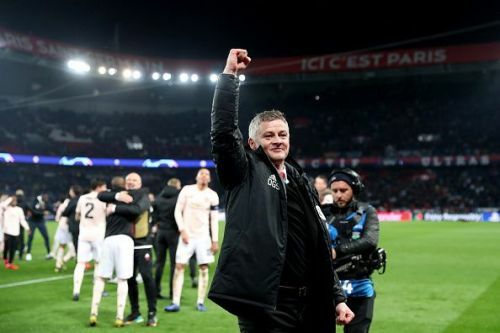 United are unbeaten in 12 matches under Solskjaer in the Premier League, with two of those being comebacks against Burnley and Southampton, while their only defeat in 15 matches since he took charge came in the first leg reversal to PSG in the Champions League. Indeed, if the Premier League started when Solskjaer took over at United, the Red Devils would be five points clear at the top of the table and the only unbeaten team in the league after 12 matches. This new form has given the club an unshakable belief in themselves, playing with confidence and with pride at representing the United shirt. This new found belief has given the players the confidence to go all out regardless of the situation or opponents they find themselves against and despite having nine first-team players out due to injury and suspension, it was this unshakable belief in their abilities which saw them through against PSG.